Is your workplace ready for the enhanced Canada/Quebec Pension Plan (C/QPP)? 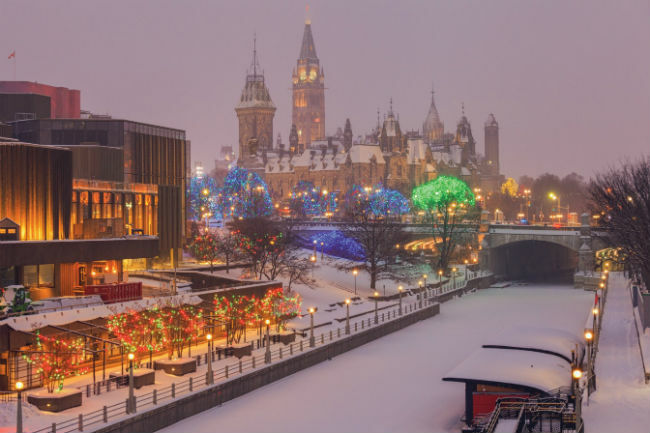 On Jan. 1, the federal and Quebec governments will begin implementing the first phase of changes to the plans that they say will strengthen them for the future. The new measures will gradually increase the plans’ retirement benefits from one-quarter of eligible earnings to one third, as well as raise post-retirement benefits and survivor and disability pensions. To pay for the improvements, the governments will gradually increase C/QPP contributions in two ways. First, they will add an extra rate, called the first additional contribution rate, to the base rate (meaning 4.95 per cent for CPP and 5.4 per cent for QPP) each year from 2019 to 2023 for earnings up to the yearly maximum pensionable earnings (YMPE). and later years each for employers and employees. As a result, the CPP rate will be 5.1 per cent in 2019; 5.25 per cent in 2020; 5.45 per cent in 2021; 5.7 per cent in 2022; and 5.95 per cent in 2023 and later years. For QPP, the rate will be 5.55 per cent in 2019; 5.7 per cent in 2020; 5.9 per cent in 2021; 6.15 per cent in 2022; and 6.4 per cent in 2023 and later years. The second change will begin in 2024, when the governments implement a new contribution rate (called the second additional contribution rate) of four per cent each for employers and employees on pensionable earnings between the YMPE and a new upper earnings limit. In 2024, the new upper earnings limit will be 107 per cent of the YMPE. In 2025, it will rise to 114 per cent of the YMPE. The CRA will continue to allow employees to claim a non-refundable tax credit for their base C/QPP contributions; however, the first and second additional contributions will be tax deductible. The CRA has also said there will be no changes to T4 reporting as a result of the CPP enhancement. The same is expected for RL-1 reporting in Quebec. For payroll professionals, the biggest change in 2019 will be implementing a new contribution rate and updated YMPE. The annual exemption for both plans will remain $3,500. While payroll professionals are used to annual YMPE changes, it will be the first time the CPP contribution rate has increased since 2003. The QPP rate rose each year from 2012 to 2017. To ensure that payroll runs smoothly with the first pay in January, the Canadian Payroll Association (CPA) advises that employers spend the time now to make sure that their systems are ready. “They should ensure that they have the proper rates in their system for Canada and Quebec Pension Plan. And with any programming changes, it is recommended that employers do testing in the background prior to the first live run of their 2019 payroll,” said Janet Grossett, manager of compliance services and programs for the CPA. “Simply inputting the rate in the system is not good enough. You could potentially make mistakes, so it would be advisable to test,” she said. Employers operating in multiple jurisdictions including Quebec must ensure they input, test, and apply the correct rates for both the CPP and the QPP. All payroll professionals should also start notifying employees of the changes if they have not already done so. “This will ensure that there are no surprises when payroll has been processed and when the employees view their first pay statement for the new year,” said Grossett. “It will definitely decrease some of the calls received after the first statement is processed,” she said. Communicating changes in advance can also help employees plan for increased costs, said Marlo Hertling, vice-president of people and culture at Avanti Software in Calgary. “As many employees live paycheque to paycheque, they will appreciate the advance notice so they can plan for the additional amount that will be deducted,” she said. When notifying employees, it is important to tell them about the full C/QPP enhancement and not just the immediate rate increase, said Andrew Hamilton, partner and Ontario retirement practice leader at professional services firm Aon. “If you look at the changes, we can fall into a bit of a trap of just communicating the details on what is changing,” he said. “It’s a pretty big deal and we can lose sight of that if we just focus on incremental changes over the next few years,” he said. Informing employees about both the rate and benefit changes can help them better understand what the changes mean for them, according to Hertling. “Provide an example to show them what it will really look like to them, so they don’t feel panicked or fearful of how much this will really be for them; then they can budget accordingly,” she said. “Educating employees builds trust in your organization, shows them that you care and that you want them to be aware of the changes in advance,” said Hertling. The easiest way to communicate the changes is through the employer’s intranet or via company-wide emails, said Grossett. “Some software may have the capability to include messages on their pay statements, but (employers) want to check with their payroll software provider for this because they will need to have some lead up time for that,” she said. Employers who use payroll service providers should work with them to ensure that employees are notified of the changes before Jan. 1. Payroll professionals should also ensure that the accounting department and executive teams are aware that C/QPP changes are coming, if they do not already know. “They will need to know to budget more for the upcoming years for contributions,” said Kim Groome, solution specialist at Avanti Software. “This impacts the bottom line and you want to keep them informed so that they can plan accordingly,” she said. Since the C/QPP rate changes will also increase costs for employers, Hamilton recommended that employers remind employees that C/QPP is a shared-cost program that will also require additional employer funding. them that employers continue to make these investments,” he said. The C/QPP enhancement may also have implications for employer pension plans, so companies that have not yet done so should begin to review their plans for possible cost or policy changes, according to Hamilton. “This is the first time that the social security programs have changed in many, many years and a lot of organizations have designed (pension) programs that either implicitly or explicitly reflect the level of social security benefits that are provided in Canada,” he said. “A lot of organizations would have designed the plans looking at what members would get from CPP and OAS (old age security) implicitly and some would have looked at actually integrating their formulas — either contribution rates or benefit amounts or both — with CPP,” said Hamilton. “If you look at them from the standpoint of were those programs integrated, will they automatically integrate with the new CPP enhancement? Some programs will,” he said. “That will have to be a decision that is taken actively by plan sponsors if that is the path that they want to go down,” said Hamilton.